Trump. If Donald Trump’s the answer then we need to re-evaluate the question. We have no need for a draft-dodging, mobbed-up blowhard plutocrat anywhere but on reality TV (which I don’t watch). We certainly don’t need this punk in the White House. 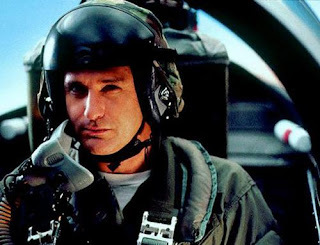 If the choice comes down to Donald or Hillary, I’m going to write in Bill Pullman. Yes, Bill Pullman the actor. He played the president in Independence Day, and when the Earth was being invaded by space aliens, he personally got into a fighter jet and kicked their asses. Now THAT’S the kind of president I can get behind.